A screengrab from the pic uploaded by Suniel. Mumbai: The Akshay Kumar-Suniel Shetty-Paresh Rawal combination has featured in numerous films together. However, their last outing together, ‘De Dana Dan’, didn’t create the same magic as was the case with their evergreen comedy, ‘Hera Pheri’, which remains a benchmark for the trio, to date. 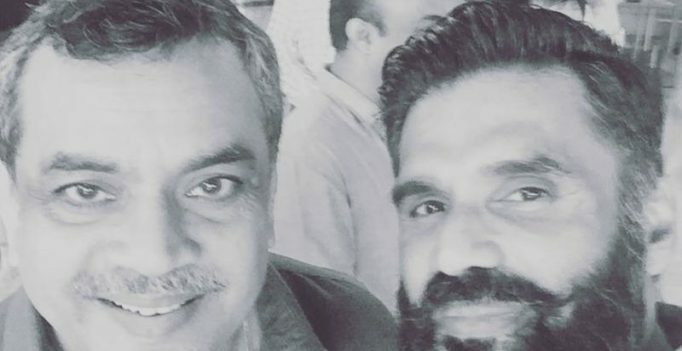 Recently, Suniel Shetty caught up with actor- Member of Parliament Paresh Rawal, in his constituency Ahmedabad for an event and the duo clicked a selfie. 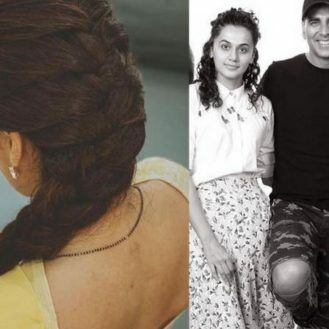 They, however, missed their ‘Hera Pheri’ co-star Akshay and showed it by addressing the ‘Khiladi’ star by Raju, the name of his character in the film in this tweet. Akshay definitely felt left out from the selfie, and expressed it without holding back. While there were reports of the trio reuniting for ‘Hera Pheri 3’, Akshay recently squashed them. But this camaraderie between them definitely raises hopes for the film.